Allison, along with her twin sister Jade, is a succubus, just like their mother and her twin sister were as well - it's a family curse. They can't so much as kiss a man (or boy, in Allison and Jade's cases) without draining their life energy and rendering them bedridden, and at worst, as was the case with their parents, intimate contact would bring death. Since their succubus powers make them exceptionally beautiful and attractive to men (as well as "addicted" to life energy the more they take it from others), Allison has decided to squelch her tendencies by dressing "goth" (like, "80's Cure fan" goth), hiding out at the library, and spreading rumors about herself that she summons demons and bites the heads off bats. Jade, on the other hand, has decided to fully embrace who she is, making out with tons of guys for a "fix" but stopping just short of doing any lasting harm. This is a constant source of anxiety for Allison, because even if Jade doesn't end up killing anyone, her behavior might raise a bunch of alarm bells once all of her dates start realizing that they've each ended up sick for days after kissing her. But after getting to know Ren, who works at the library, Allison starts to understand why the prospect of love is so irresistible. 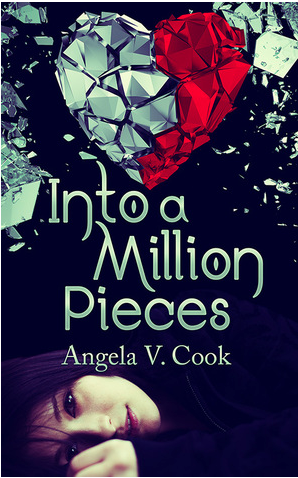 When one of Jade's plans leads to tragedy, Allison gets closer to Ren as she tries to pick up the pieces in the aftermath, and as she deals with the danger of their feelings for each other, another danger threatens Allison's existence as well. This was a fun, quick read - Allison is caustic and witty, and it was easy for me to like her and her voice because she's extremely relatable. And even Jade, who is less relatable, is still likeable once you consider some of her motivations (Misogynistic jock a-hole picking on her sister? Oh hell no, she decides!) and the fact that she's trying to make the best of a crappy fate. I haven't read many other books about succubi - I've pretty much only read Richelle Mead's Succubus Blues series, which I really enjoyed - so I don't know much other than the basic mythology that is presented. For example, vampires in fiction have a number of different iterations, cultural symbology, etc., as do zombies. There are also a number of different books on various supernatural phenomena that are appropriate for different grade levels. Suffice it to say that I would imagine that most fiction involving succubi are going to contain sexual content, and that I probably wouldn't recommend it to young adults.